Make the heads flip whenever you dress up in such a stunning gray colored jacket style floor length gown kurti. This long kurti is made of silk fabric and stylized with beautiful embroidery which makes this attire more classy. 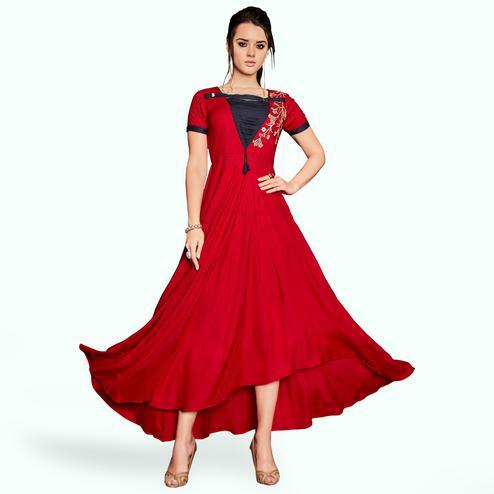 Women can buy this stylish kurti to wear for their upcoming function, festivals, outings, events or family occasions, where you want to be the limelight. Team it with ethnic accessories and heels to make your looks more beautiful.